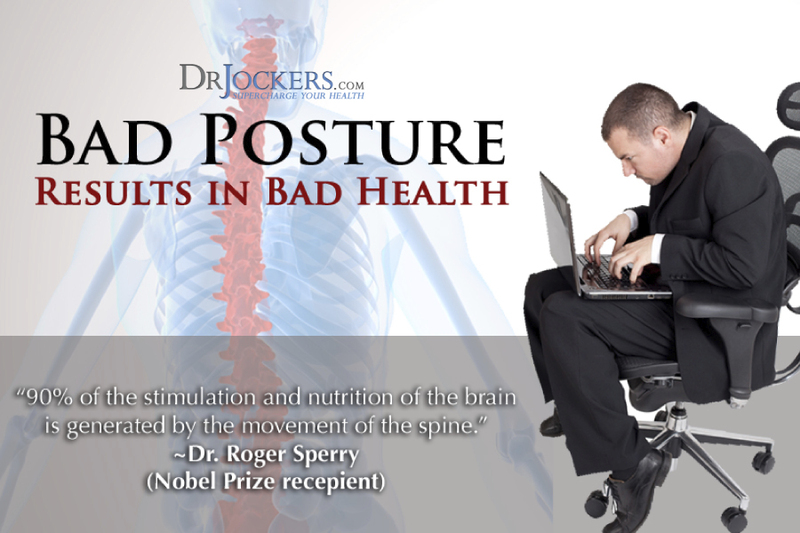 Bad posture is a modern day health epidemic that is much worse than most people naturally assume. 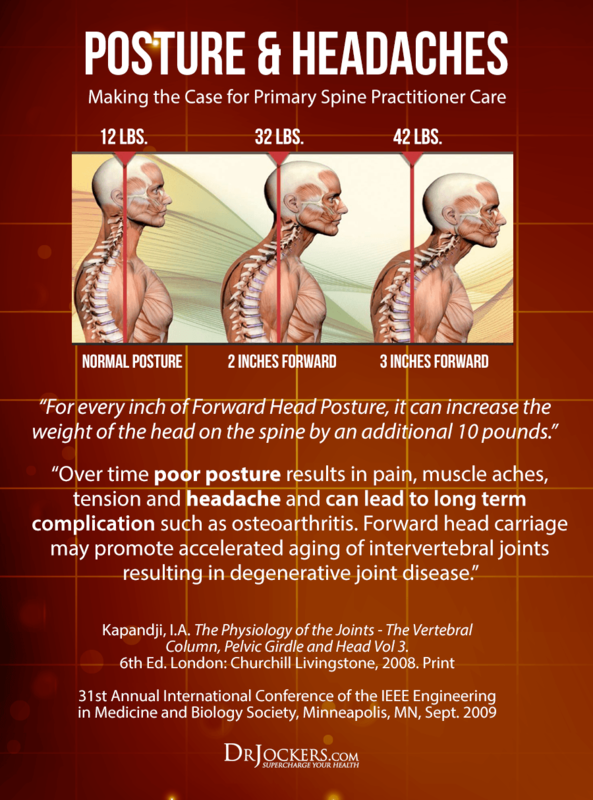 Posture is the window into your spine. The spine has a powerful relationship with the brain, spinal cord, and overall organ function. 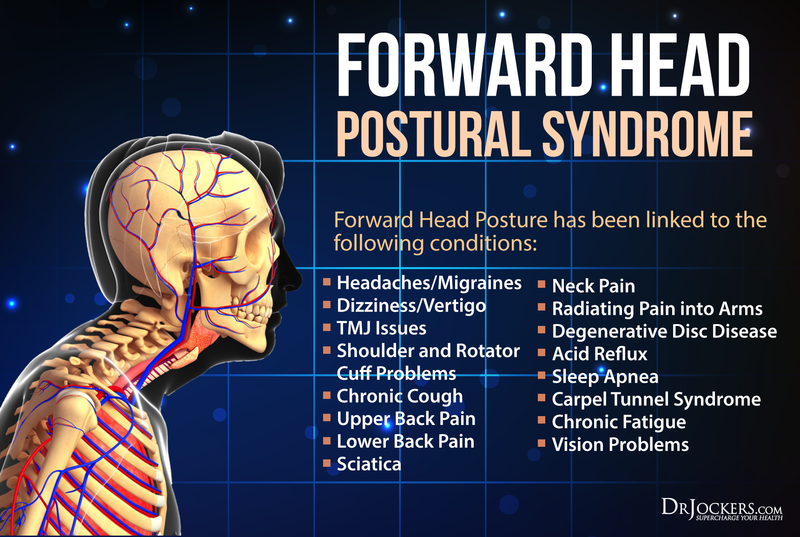 This intimate connection means that bad posture and spinal health will lead to an overall decrease in brain and organ function. 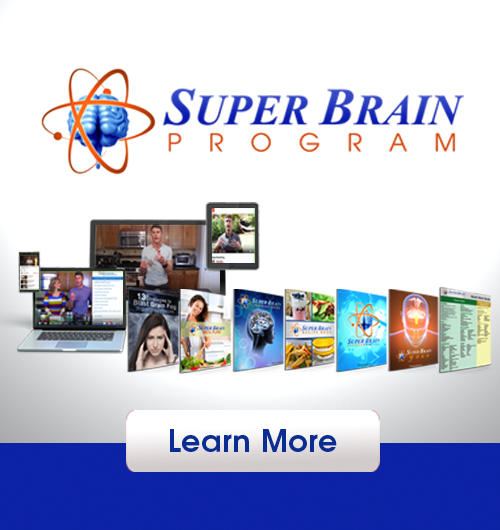 Nobel Prize recipient Dr. Roger Sperry says that the spine is the motor that drives the brain. 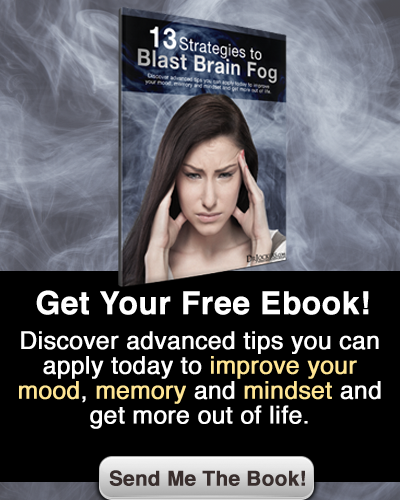 According to his research “90% of the stimulation and nutrition to the brain is generated by the movement of the spine.”Only 10% of our brain’s energy goes into thinking, metabolism, immunity, and healing. Sperry demonstrated that 90% of brain energy goes into processing and maintaining the body’s relationship with gravity (1). One of the worst types of health problems people experience is a loss of the natural curves of their spine (2, 3, 4). Ideally, we should have a 40-45 degree curve in our neck that many chiropractors & neurosurgeons refer to as “the arc of life.” This curve helps to protect the brain stem and the spinal canal for the spinal cord and nerves that travel to every region of our body. Subluxation is the term for misalignments of the spine that cause compression and irritation of nerve pathways affecting organ systems of the body (5, 6). Subluxations can manifest as pain, but since only a small portion of spinal nerves transmit pain sensations they are often unnoticeable by the individual. Losing the arc of life in the neck, forward head posture, and scoliosis are three of the most dangerous forms of subluxation. These are all the result of bad posture over time. Subluxation patterns such as forward head posture and loss of the neck curve are most often created by trauma and/or bad posture. Examples of trauma include the birth process (especially with forceps delivery), falls, car accidents, & sporting activities. The typical individual in our society today spends at least 3-4 hours a day slumped in front of a television, computer, and texting on a cell phone. These behaviors cause the head to shift forward and create a lasting posture pattern called forward head posture (7). This ‘forward head posture’ can add up to 30 pounds of abnormal leverage pulling the entire spine out of alignment and may result in the loss of 30% of vital lung capacity.” says University of California’s director of physical medicine and rehabilitation, Rene Cailliet (8). As forward head posture decreases lung capacity it affects the body from effectively oxygenating cells. This can lead to asthmatic conditions, blood vessel problems and heart disease (9, 10, 11, 12). The oxygen deficit affects the entire gastrointestinal system leading to altered nutrient absorption and peristaltic activity. Lowered oxygen states also decrease endorphin production turning the perception of non-painful sensation into pain experiences (13). This explains how bad posture can result in increased perception of pain throughout the body. Studies have shown that corrective based chiropractic care effectively reduces forward head posture and enhances the arc of life (14). A 2009 study by Morningstar and Jockers showed that this corrective process dramatically enhanced lung function (15). As the respiration process improves more oxygen gets into the body. This improves blood flow into every organ system of the body dramatically improving overall function . Corrective care chiropractors specialize in techniques that reduce or eliminate forward head posture and restore the natural curves of the body. These corrective chiropractors are able to demonstrate these changes to the individual with pre-post x-rays, nerve scans, postural pictures and other technology. This is done through gentle & specific adjustments that take pressure off of the brain stem and nerve pathways and enhance function to the body. Corrective rehabilitative exercises are prescribed to address postural abnormalities & create lasting objective postural and x-ray changes. 2. Grob D, Frauenfelder H, Mannion AF. The association between cervical spine curvature and neck pain. European Spine Journal. 2007;16(5):669-678. 5. Owens EF. Chiropractic subluxation assessment: what the research tells us. The Journal of the Canadian Chiropractic Association. 2002;46(4):215-220. 12. Kado DM, Lui L-Y, Ensrud KE, et al. Hyperkyphosis predicts mortality independent of vertebral osteoporosis in older women. Annals of internal medicine. 2009;150(10):681-687. 14. Morningstar M. Cervical curve restoration and forward head posture reduction for the treatment of mechanical thoracic pain using the pettibon corrective and rehabilitative procedures. Journal of Chiropractic Medicine. 2002;1(3):113-115. I just want to say thank you for these articles on posture. I have been having upper spine pain that radiates through my entire back. I have also been having more breathing and digestive problems and now I see why. Thank you so much. I am going to try to start doing what I should for my posture. Thank you so much. Great to hear that Vanessa!! Blessings to you!